This Grik model has a black/tan GFN handle and a satin finished spear point blade. The Cold Steel Grik offers a fully ambidextrous design from custom knife maker Andrew Demko. 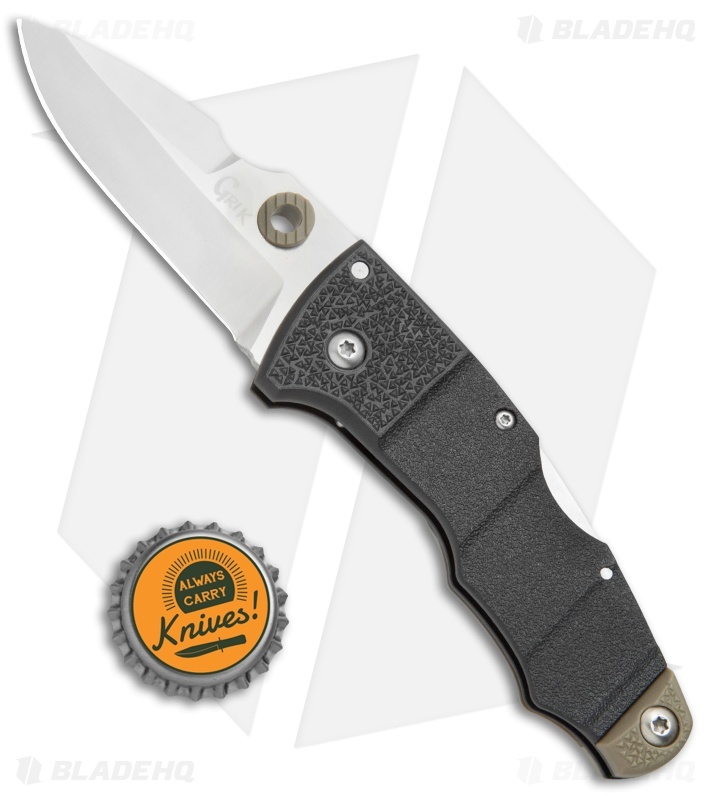 This model is outfitted with a distinctive spear point blade made from heat treated and cryo-quenched AUS-8A steel from Japan. 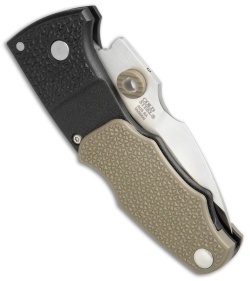 An ample thumb hole and thumb rest improve blade functionality while adding to the overall style of the knife. 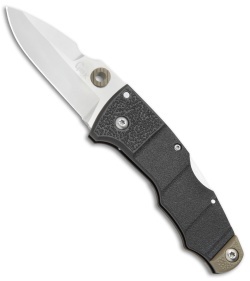 The GFN handle provides a solid grip and firm lock up with Cold Steel's state of the art Tri-Ad locking mechanism. 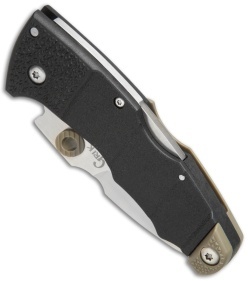 An innovative GNF pocket clip looks like a handle scale yet functions as a pocket clip. Pick up a no-nonsense EDC folder with the Cold Steel Grik. Pocket friendly Andrew Demko design for everyday carry comfort and functionality. Japanese AUS-8A steel strikes the perfect balance between edge retention and ease of sharpening. GFN handle scales provide lightweight strength and a textured grip.